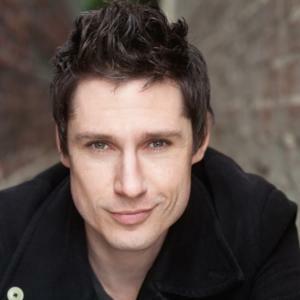 Jeff B. Davis is an actor and comedian from Los Angeles. His TV credits include Whose Line Is it, Anyway?, Happy Family, The Sarah Silverman Show and Drew Carey's Green Screen Show . His career began at age four, starring as Linus in a terribly ill-advised, all-children production of You're a Good Man, Charlie Brown at the Goundlings Theater. On opening night, Jeff vomited all over his director, then turned and took the stage. At age nine, Jeff was cast as Louis in Yul Brynner's final production of The King and I, which toured nationally and closed on Broadway when Jeff was 11, after nearly 800 vomit-free performances. In high school Jeff began improvising with Los Angeles ComedySportz, eventually learning the skills he'd later need as a frequent guest on the hit television show Whose Line is it, Anyway? Jeff spends many nights of the year performing live with Whose Line stars all over North America. He can also be heard on the highly-acclaimed, deeply weird Harmontown podcast with NBC's Community creator Dan Harmon. Listen at your own risk.